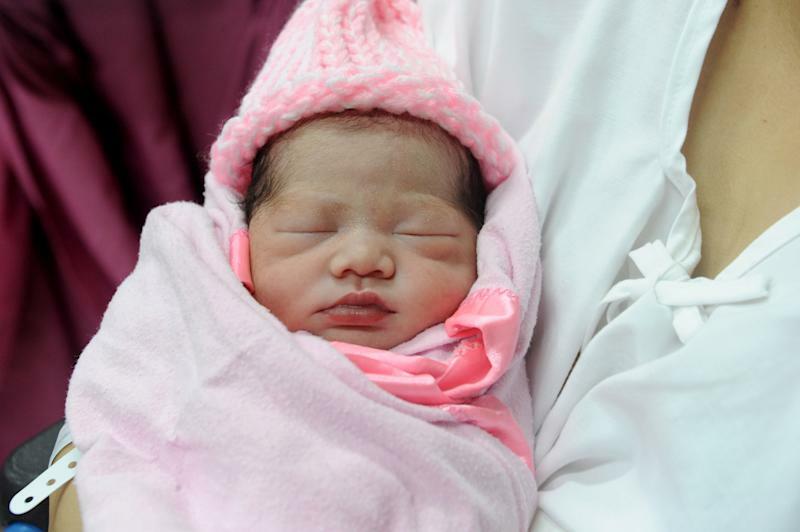 A baby girl born early Sunday has officially pushed the population of the Philippines to 100 million, highlighting the challenge of providing for more people in the already-impoverished nation. 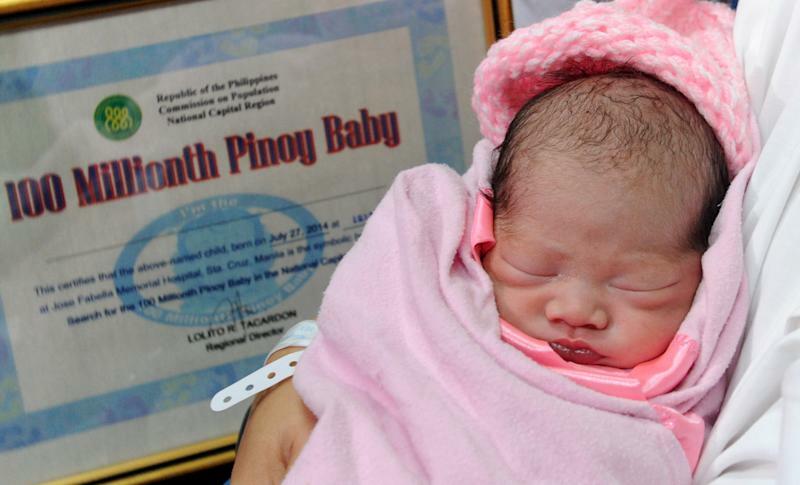 The child, Jennalyn Sentino, was one of 100 babies born in state hospitals all over the archipelago who received the symbolic designation of "100,000,000th baby". "This is both an opportunity and a challenge... an opportunity we should take advantage of and a challenge we recognise," Juan Antonio Perez, executive director of the official Commission on Population, told AFP. While a growing population means a larger workforce, it also means more dependents in a country where about 25 percent of people are living in poverty, he said. Jennalyn's father, 45-year-old van driver Clemente Sentino, said he was grateful for the government aid, but expressed confidence he could support his child and his partner. He and the child's mother, Dailin Cabigayan, 27, are not yet married. "She just happened to get pregnant. But we do have plans to get married," he told AFP. Efforts to control the Philippines' population growth have long been hampered by the influence of the Roman Catholic Church, which counts about 80 percent of Filipinos as followers and which disapproves of all forms of artificial birth control. Meanwhile, Father Melvin Castro, head of the commission on family and life of the country's Catholic bishops, was quoted by a church-run radio station as praising the ballooning population, as there would be more "young workers" to power the economy. President Benigno Aquino's spokesman Herminio Coloma said the milestone showed the importance of making "the right investments in people". The government had prepared for this by spending more on "human development", particularly education, he told reporters. Meanwhile, Klaus Beck, country representative of the United Nations Population Fund, endorsed the Philippines' new focus on family planning in a statement issued to coincide with the population landmark. "Governments that are serious about eradicating poverty should also be serious about providing the services, supplies, information that women, men and young people need to exercise their reproductive rights," he said.